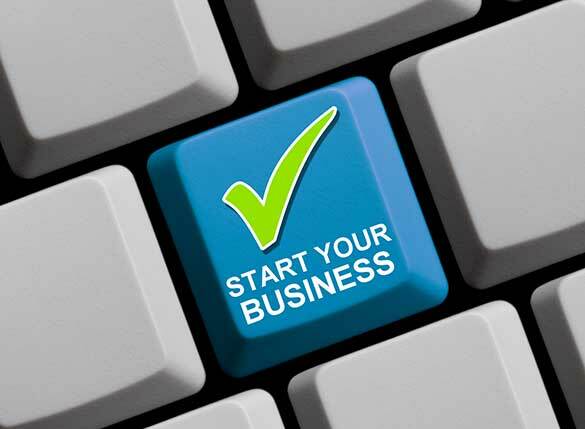 When you want to start a Limited Company, forming the company is only the first step. You also need to think about registering for the various HMRC business taxes and this is something that a company formation agency will not offer. Whether you are an existing business (trading as a Sole Trader) looking to incorporate or starting a new Business through a Limited Company, we are here to help ensure that your Company Formation is done right from start. Choosing the right company structure, shareholding, share classes and ensuring that the Articles of Association and Memorandum of Articles meet your business requirements are crucial at the setup stage. Fusion Accountants are London Business Accountants, offering a fully comprehensive advice on setting up a new Limited Company to help best start for your business. When starting a Limited Company, Company Formation is actually the first step only, and you need to be thinking about setting up various registrations with HMRC business taxes that a standard company formation agency does not offer. distributes through Dividends. The liability of a member of a Company Limited by Shares is limited to the amount, if any, unpaid on the members shares. Once the shares are fully paid, then in general there is no further liability for the Shareholder. Hence if the company becomes insolvent the members are not required to make any further contribution to discharge its debts. The liability of members is limited to the amount that they undertake to contribute to the assets of the company in the event of this being wound up. while they were a member. The amounts involved are normally small. The key difference between a Ltd Company and PLC is that a Ltd Company cannot offer their shares or other securities to the public, whereas public companies can. obtain a trading certificate as a PLC. If you’ve been through a previous company formation, you’ll know the frustration that comes from being eager to start trading, but having to wait for all the paperwork to be filled out and submitted. We’ll fill out and submit the forms for you, so you can start trading quickly. Fusion will take care of all the compliance work around company formations and provide you with all the documents such as Articles of Association and Memorandum of Articles. By far the most common Limited Companies are formed this way for Small Businesses, Contractors and Freelancers. The Ltd Company issues shares and profits can be distributes through Dividends. The liability of a member of a Company Limited by Shares is limited to the amount, if any, unpaid on the members shares. Once the shares are fully paid, then in general there is no further liability for the Shareholder. Ideal if you just need a Company, know the Structure you need and are confident you don’t need support. Get Advice from one of our Accountants who will make sure the Company Structure is setup in the most tax efficient way.